The SMC™-3 Smart Controller is a compact, simple to use, solid-state motor controller designed to operate 3-phase motors. It has a built-in overload relay and a built-in SCR bypass contactor on all three phases, allowing a smaller footprint than other soft starters on the market. Modes of operation for the controller include soft start, soft stop, current limit start, and kick start. 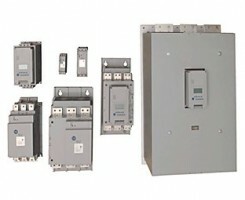 These soft starters are available as part of the Enclosed SMC product family.